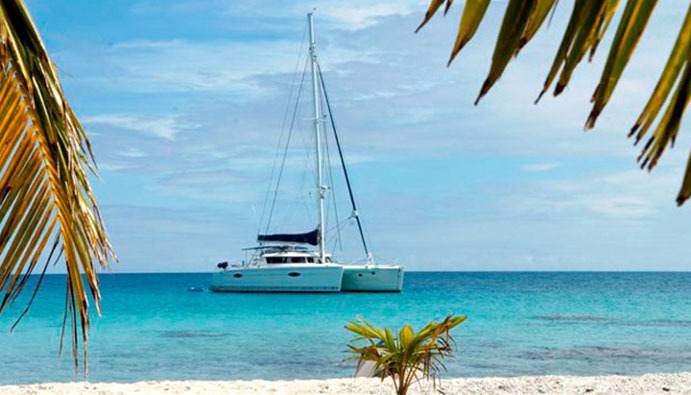 Welcome and boarding at noon, Dream Yacht Charter base Marina of Uturoa. Lunch, short navigation inside the lagoon of Raiatea // Tahaa. Afternoon at anchor at the motu Tao Tao : beachcombing, sea kayaks, snorkelling parties at the coral garden. Navigation of 5 hours to Bora Bora island. Lunch at anchor. Afternoon discovery of the most famous lagoon in the South Pacific. 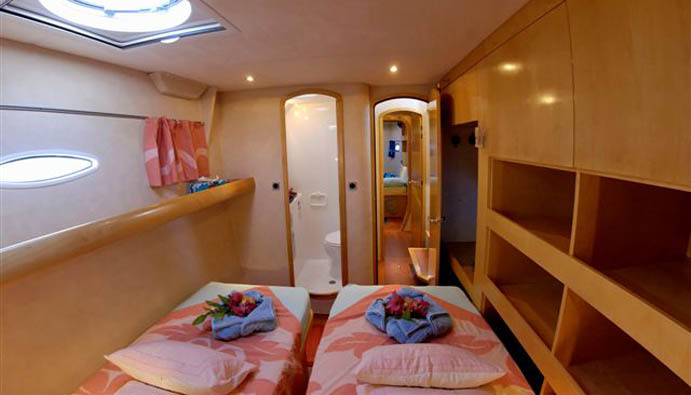 Nautical activities : sea kayak rides – swimming – snorkelling parties. Evening and night in the South of Bora Bora, Matira point. 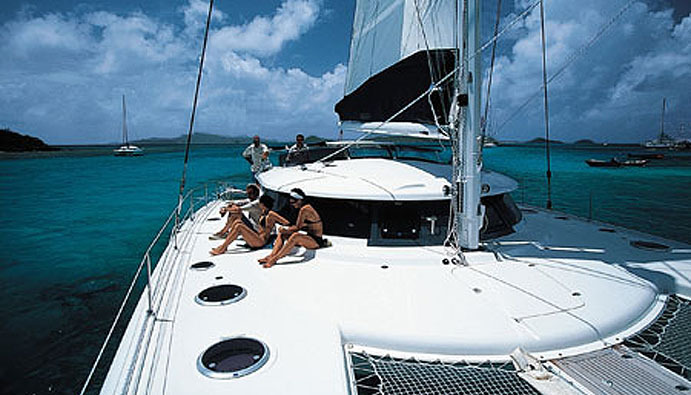 Full day dedicated to Bora Bora lagoon : Short navigations, fiew stops for nautical and leisure activities : Swimming with tropical fish – rays and turtles. Discovery of the reef barrier, beachcombing, snorkeling parties in corral gardens. 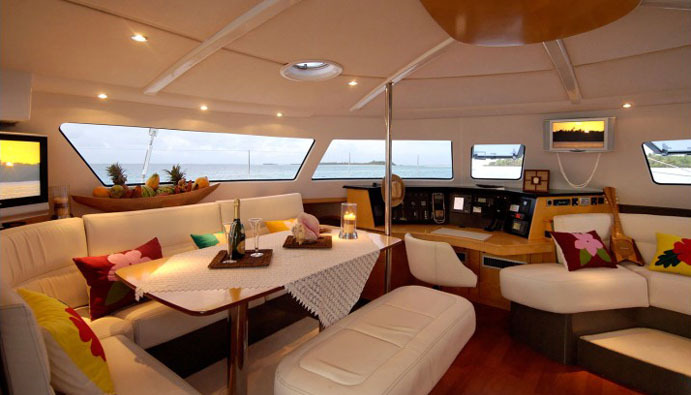 Option : Barbecue lunch on a private motu. 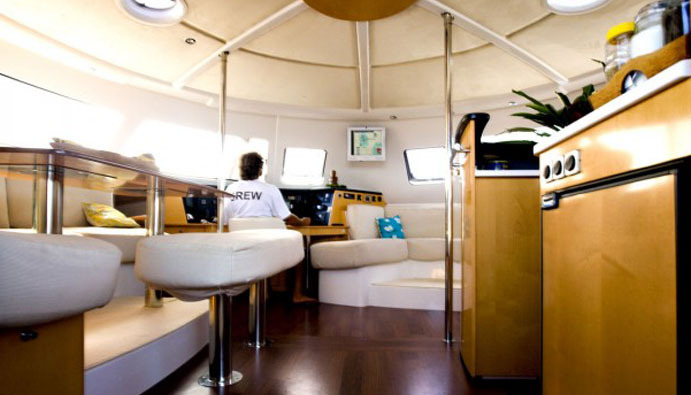 Welcome and boarding at noon, Dream Yacht charter Base, Marina of Uturoa. Lunch on board, short navigation inside the lagoon of Raiatea // Tahaa to motu Tao Tao : Beachcombing, nautical activities snorkeling at the coral garden. Navigation to Bora Bora (5 hours). Lunch at anchor and discovery of one of the most beautiful island in the South Pacific. Night at anchor in the South of Bora Bora, Matira point. Leisure day to discover this famous lagoon of Bora Bora. 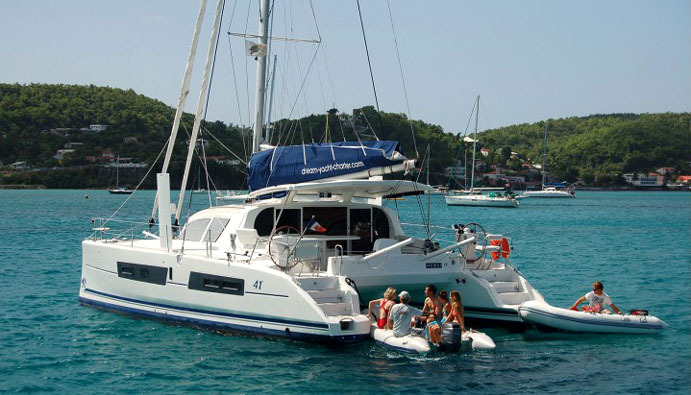 Short navigations and fiew stops for snorkelling parties, beachcombing and kayaks rides. 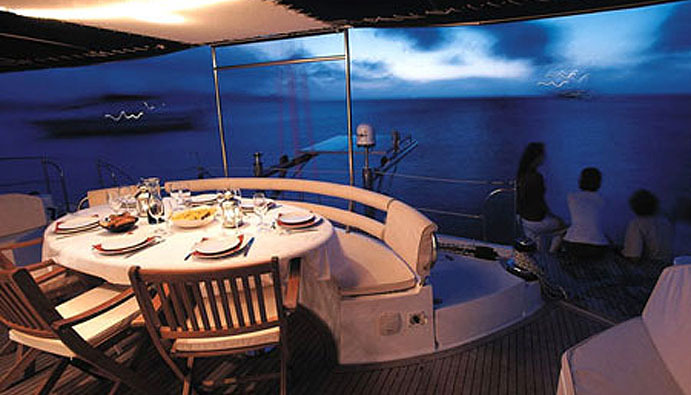 Option : Barbecue lunch on a private motu.. Evening and night in Vaitape Bay. 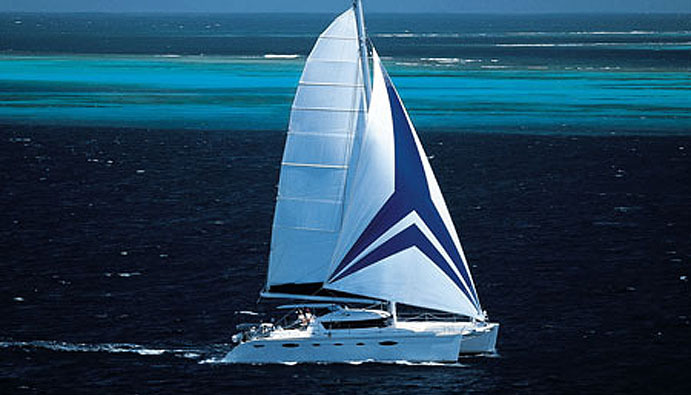 Short navigation to Raiatea. Shopping in Uturoa, main village of Raiatea with the local market. Option: guided tour of Raiatea, Taputapuatea temple, botanic, green valley and waterfalls. Short navigation to motu Ceran. Robinson day at anchor for nautical activities, snorkelling, swimming. Early departure to Huahine, navigation of 4 hours. Arrival in Fare bay around 10.00 am. Visit of this typical polynesian village. Afternoon, leisure activities : kayaks, snorkeling parties, watersports. Optional guided tour of Huahine archeological sites, fish traps, vanilla plantations, sacred eels. 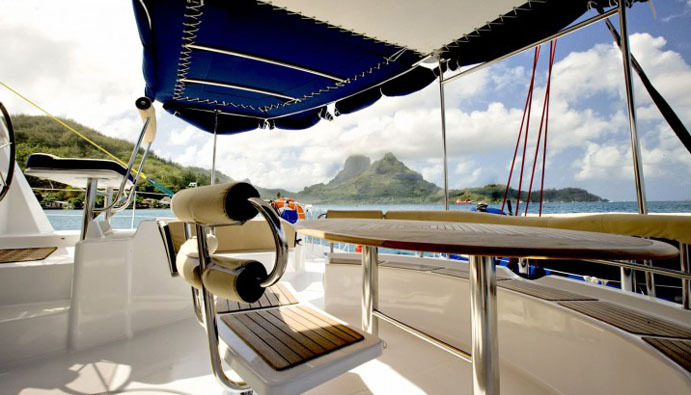 Breakfast at Avea Bay – nautical activities and navigation in the West part of Huahine Lagoon. 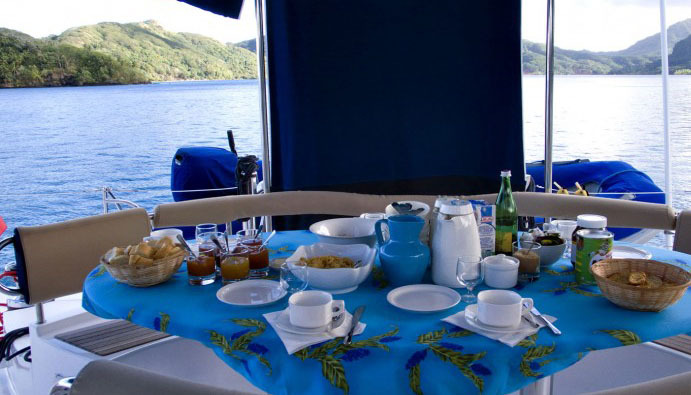 Panoramic lunch – navigation of 4 hours to Raiatea island. Sunset arrival on the sacred island. Option : Diner and evening in a restaurant with a local polynesian show. 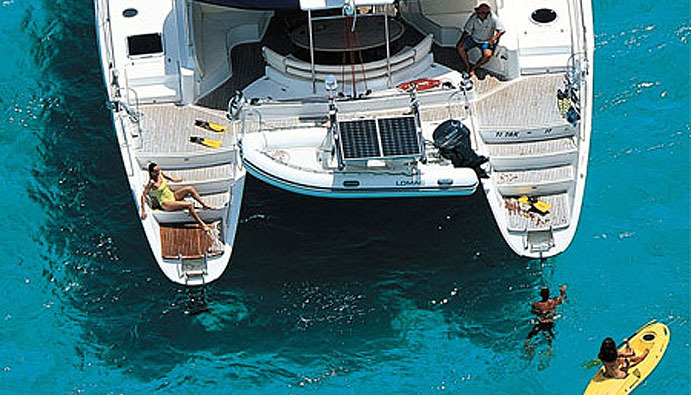 Landing at 08.00 am, Dream Yacht charter Base, Marina of Uturoa.